Did you think I had fallen off of the face of the earth? Have been busy with my family, cooking, housework, gardening, helping a friend, some quilting and keeping the Mystery Quilt clues going for my guild. I have no idea how some bloggers can constantly put new stuff up on their blogs and keep up with all the normal daily stuff we have to do. I just don’t have the ability to do it all. So I have decided to just do some of it, a little at a time. As has been said, “Step by step, slowly we turn,” by whom I don’t remember, but that is the only way I get things done, step by step! And then finally its done. I have been posting the clues for the Mystery Quilt on Craftsy, so they are available for purchase to those of you who would like to try it. 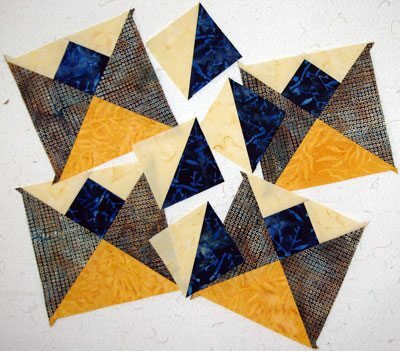 Take a look at previous Mystery Quilts I have concocted. They have been a lot of fun to create and they all have Sewfasst® Techniques in them and this one has a brand new technique, that is really exciting. This time I used Electric Quilt to help with the designing. And just what are Sewfasst® Techniques? 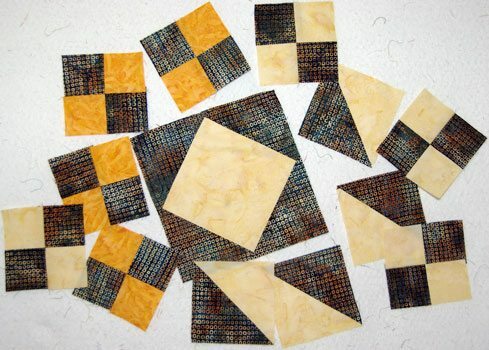 These are some ways of making units from squares and rectangles, without cutting a single triangle; just sewing, slicing, dicing and resewing! In other words, there aren’t any individually cut patches sewn together. 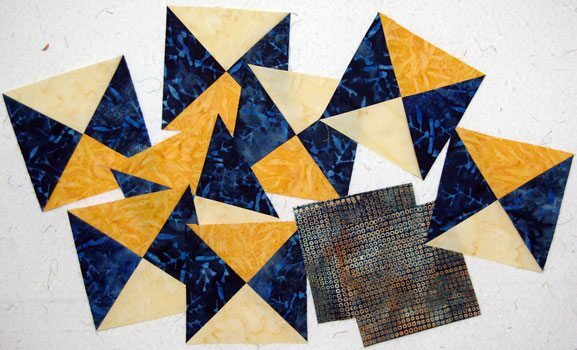 Some of them are as familiar Half Square Triangles and Flying Geese, or very different as Quarter Square Tulips, with my own spin on how they are put together. Also there is no waste and sometimes you end up with two or even four units being made at the same time. I am posting the third and fourth clues today. For those of you who may be unfamiliar with the Mystery Quilt concept, it works like this. 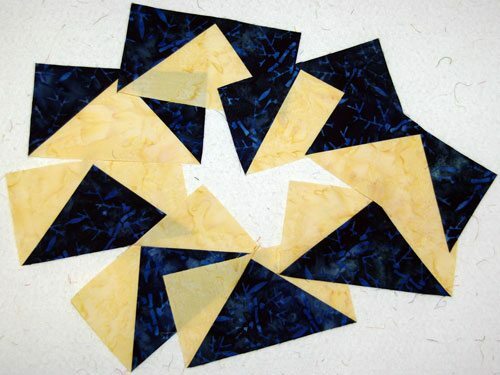 You are provided with a supply list and directions for making different parts of the quilt, in this case there are six clues, then at the end there is the “reveal” and how all of the parts are put together. The fun of it is not knowing what the end product looks like, thus it is a Mystery Quilt!